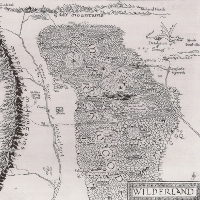 Location: In the foothills of the Misty Mountains, the section of the Great East-West Road that crosses the River Bruinen (Loudwater) southwest of Rivendell (Imladris). 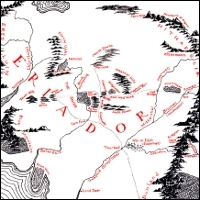 Eriador, showing the Ford of Bruinen between the Trollshaws and Rivendell. In the late afternoon they came to a place where the Road went suddenly under the dark shadow of tall pine-trees, and then plunged into a deep cutting with steep moist walls of red stone.... All at once, as if through a gate of light, the Road ran out again from the end of the tunnel into the open. 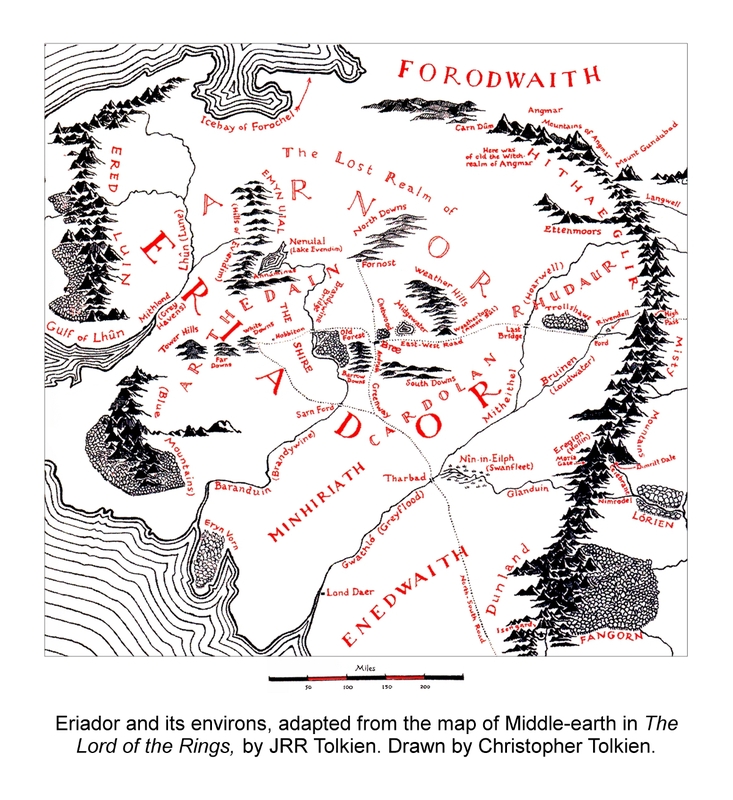 There at the bottom of a sharp incline they saw before them a long flat mile, and beyond that the Ford of Rivendell. On the further side was a steep brown bank, threaded by a winding path; and behind that the tall mountains climbed, shoulder above shoulder, and peak beyond peak, into the fading sky. 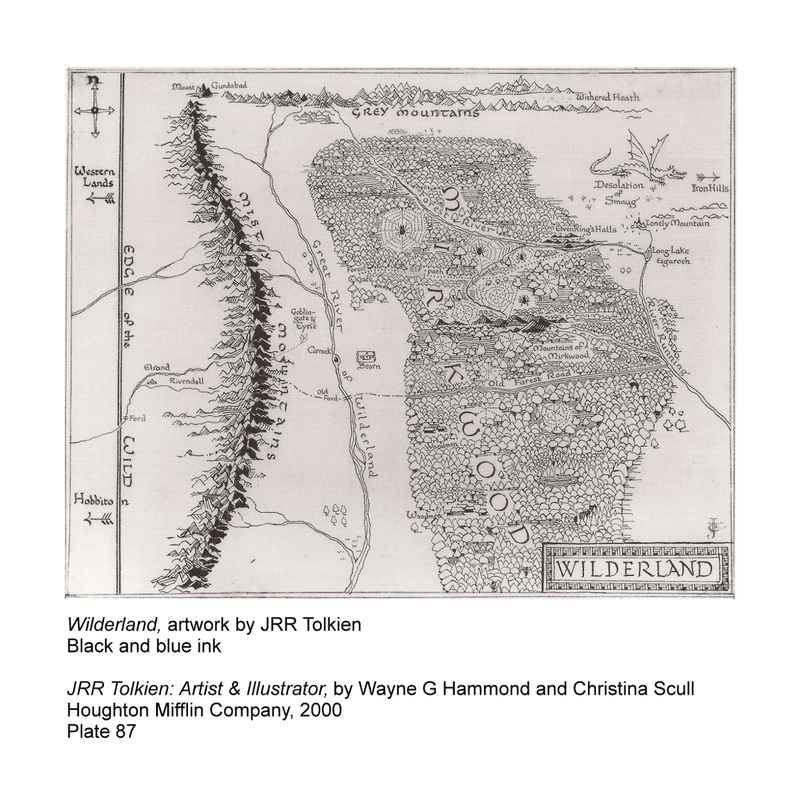 Wilderland, by JRR Tolkien, showing the Ford near Rivendell. One morning they forded a river at a wide shallow place full of the noise of stones and foam. The far bank was steep and slippery. When they got to the top of it, leading their ponies, they saw that the great mountains had marched down very near to them. Already they seemed only a day's easy journey from the feet of the nearest. Dark and drear it looked, though there were patches of sunlight on its brown sides, and behind its shoulders the tips of snow-peaks gleamed.